BANGI, 5 Dec 2013 – The National University of Malaysia (UKM) is one of only two Malaysian public universities to make it to the top 100 varsities in emerging economies of the world. The Times Higher Education (THE) Index announced that UKM took the 77th spot while Universiti Putra Malaysia (UPM) was in 95th place. “On this basis, we can see that both The National University of Malaysia and University Putra Malaysia are competitive when the playing field is levelled,” editor of the supplement, Phil Baty said in a statement today. The list, which polled universities from 22 emerging economies, used the same performance indicators as the Times Higher Education (THE) World University Rankings. It is the first list of its kind to compare university performance among developing countries which also included the five major emerging economies of Brazil, Russia, India, China and South Africa, (BRICS). Malaysia failed to get a spot in the top 400 of THE World University Rankings this year. China came out tops in the ranking with Peking University and Tsinghua University taking the first and second spots respectively. Chinese universities also took the most placings with 23 institutions listed. 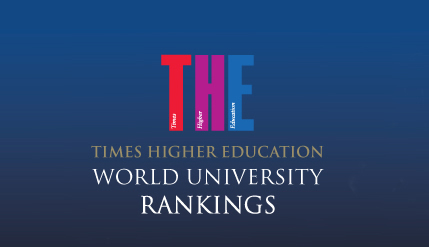 The Times’ rankings are based on assessments of a university’s strengths using 13 indicators to measure its teaching, research, knowledge transfer and international outlook, powered by Thomson Reuters which independently collects, analyses and verifies the data.